Whether you are a programmer, a product manager, or a graphic designer, you have probably had some experience with horrific digital projects. Many times it's because the provider (you) and the client or stakeholder do not align on the vision and approach. A coherent UX process (besides giving the best results to the end user) can facilitate a supportive environment for both the provider and client and stakeholder, effectively allowing the project to run smoother than ever. During this workshop we will examine a solid UX process and identify how it can help you with your next project. Lior Zelering has more than 17 years of experience in new media. His experience varies from designing UX for websites and apps to interactive displays and visitors’ centers. He has done work for international brands such as Toys R Us, Philip Morris, Coca Cola and more. Lior is a lecturer on graphic programs, interactive programming UX/UI and New Media at some of Israel’s leading institutes, including Bezalel, Shenkar Wizo and other private studios and companies. 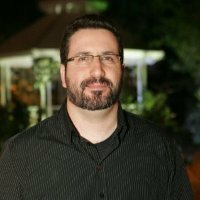 Lior has done additional work in interactive marketing, content management, and social media management.